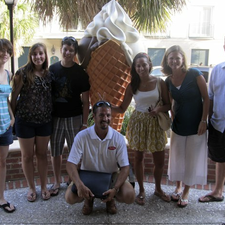 This 2 ½ hour tour offers the best of Charleston history and food! Your source for food tours that highlights the cuisine of our favorite locally owned and operated restaurants in the Holy City. It is a journey that is informative, delicious and fun! On each tour, you will not only have an opportunity to sample some of Charleston's finest food offerings, but also to meet the owners and chefs behind Charleston's impressive culinary innovation. Each Charleston tour will visit 4 different restaurants. All of the tours combine elements of a historical tour with a culinary adventure. The food on your tour will be organized in a logical, progressive manner, working in concert with our restaurant partners to choose an array of dishes which provide insight into Lowcountry cuisine. All food and non-alcohol beverages are included.